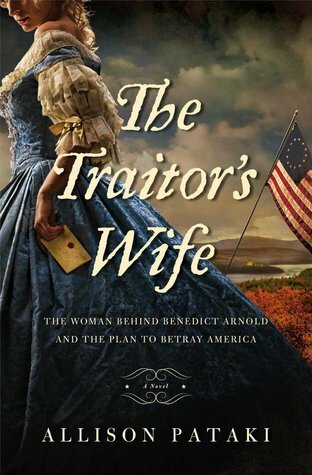 The Traitor’s Wife has been in my reading queue for a while, and I recently finally got around to reading it. I knew even before I started this book that I was going to love it – it’s just one of those books. And it certainly helps that I am naturally inclined to the subject matter itself: 18th century – check; American Revolution – check; great historical detail/world-building/context – check; POV of a “regular person” witnessing a historical event – check; Peggy Shippen/John Andre/Benedict Arnold “love triangle” – check! I’m sure it also helped that my reading experience was enhanced by the fact that 1)I live in Philadelphia and could easily navigate and visualize the streets and settings and 2)have read many non-fiction books on the American Revolution, and have obviously researched much of that time period giving my own writing’s subject matter. Of course, you don’t need to have all the historical context and facts when you set about reading The Traitor’s Wife. The story will draw you in, as well as the fully-realized characters–the magnetic and enchanting Peggy Shippen, for one. I also appreciated the fact that Benedict Arnold wasn’t made out to be some evil, conniving villain from the get go. He was a real guy, with real frustrations and human flaws that lead him to believe he had been done wrong by–propelling his motives for defection. And even if you do know a lot about the period, you might even learn something new–I know I did! Despite my research, I had actually never come across accounts of the The Meschianza. Being my curious self, I wrote down the details, set the book aside, and did a quick google search. I am very fortunate to be in Philadelphia because I was then led to the Library Company of Philadelphia, where several Meschianza artifacts are stored. In person, I was able to view the following: The Meschianza mirror, a real invitation to the party, a few of John Andre’s silhouette cutouts, a poem by Andre, and a gown design sketch also done by Andre. Additionally, I saw fashion sketches and swatches of fabric of the gowns worn to the Meschianza provided for John F. Watson’s Annals of Philadelphia (side note: 3 volumes of an 18th century historian’s dream) by women who had attended as young women. So I say, set your reservations about Benedict Arnold and Peggy Shippen aside and give this novel a shot–it humanizes them where history demonizes them; and we all know that history is never black and white.